We believe the city should be open to tweaking zoning requirements to allow for more height or density if the developer agrees to add more affordable units in attractive neighborhoods. It is no secret that there is a deep economic divide in our city. According to a recent study by the United Way, at least half of the households in Dallas are either in poverty or are one emergency away from tumbling into it. That is more acute in some neighborhoods than others—in Fair Park’s 75210 ZIP code, 83.3 percent of families fall into one of those categories. This is the highest of any ZIP code inside one of Texas’ five largest cities. Traditionally, neighborhoods like these are where we have steered federal and state dollars to fund low-income housing. This has only further concentrated poverty, creating stark economic divisions in neighborhoods that lack the tools residents need to succeed. Studies have shown that once the poverty rate reaches 40% of total households in an area, it is virtually impossible to get out. Dallas has entirely too many areas and residents that fall into this plight. Housing alone will not solve those problems. In 2017, the city commissioned a Market Value Analysis that put detailed numbers to this epidemic. It was meant to identify the neighborhoods that needed more housing and the neighborhoods that needed basic services. This formed the foundation of our city’s new housing policy, which was passed in 2018. We believe the city must do a better job of providing resources to our residents who live in poverty, to provide them access to jobs and opportunity, to workforce training, to provide the bare minimum of a grocery store with healthy food and a reliable bus route. All of these things factor into housing and should inform where we decide to focus our efforts. We are 20,000 affordable units short. Where and how we choose to deploy our resources to shore this gap will determine whether we make any leeway in helping our poorest neighbors escape poverty. First, we believe the City Council should adhere to the tenets of the housing policy towards building a city of “complete neighborhoods” where all residents have proximate access to all of their daily needs including high frequency transit. We should first improve basic services in neighborhoods that need them before we begin adding additional housing, which will only perpetuate poverty. We have a desirability deficit that we must overcome to create the demand in order to build a supply of housing that works. To do this, follow the map provided by the Market Value Analysis. We believe the city should be open to tweaking zoning requirements to allow for more height or density if the developer agrees to add more affordable units in attractive neighborhoods. This would add more market-rate housing to areas dense with jobs. It would make success more attainable. The city should also create pilot zones to allow “granny flats” or Accessory Dwelling Units onto Single-Family zoned properties wherever there is already a mix of housing types. We believe the city should also develop a strategy to reopen the properties in its land bank, but only in locations that have met minimum basic service standards and active utilities. 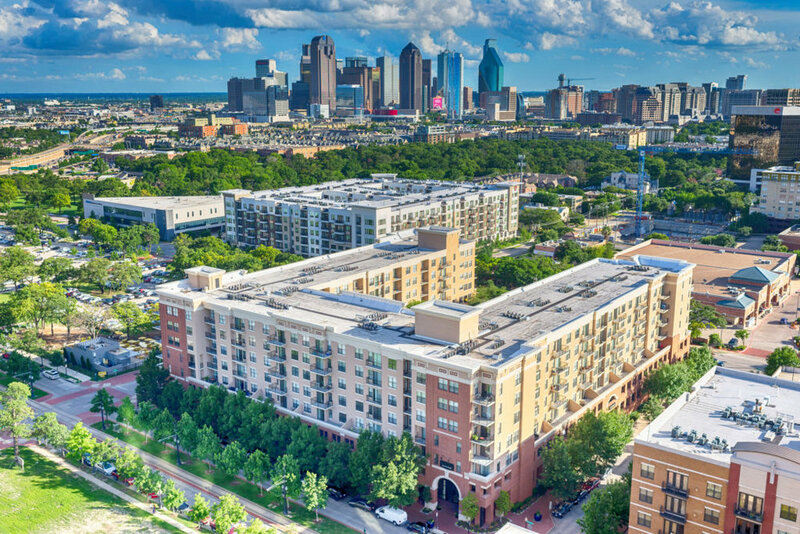 The city should also work closely with other property-owning public agencies, such as DART, DISD, and Dallas Housing Authority, to maximize the utilization of their land with a strategic emphasis on partnering with the private sector to invest and redevelop in Opportunity Zones as well as to deliver mixed-income development in up-market locations. DART has numerous parking lots at its DART stations that could and should be redeveloped. DISD has severe facility improvement needs. We recommend an approach similar to the Oyster School in Washington, DC where the private sector delivered a new school in exchange for rights to deliver several hundred housing units. Lastly, Dallas Housing Authority owns some potentially highly valuable properties, however much of the housing is sub-standard, single-use, and devoid of opportunity. Many of their sites could be redeveloped with similar or greater amount of affordable units within a mixed-use, mixed-income, amenity rich redevelopment providing not just improved housing, but also access to jobs and opportunity. There is also the matter of poor homeowners being unable to afford rising property taxes in areas that have seen rapid and intense development. In these up-and-coming communities, like West Dallas, the city should provide a safeguard that would freeze the tax rate for longtime homeowners as to not displace them. And for those whose home-owning relative dies without a will, the city should provide pro-bono services and in-kind donations from the legal community to help their family members secure the title. Without that title, they are unable to qualify for federal funding to help pay for home improvements that would otherwise be financially unattainable. The city must be intentional with how and where it deploys these strategies—the city of Dallas is not a one-size-fits all proposition, and it must not be approached as such. Especially with something as important as housing and economic opportunity.